carly tee: essentials by ellen february 2017 hop! essentials by ellen february 2017 hop! 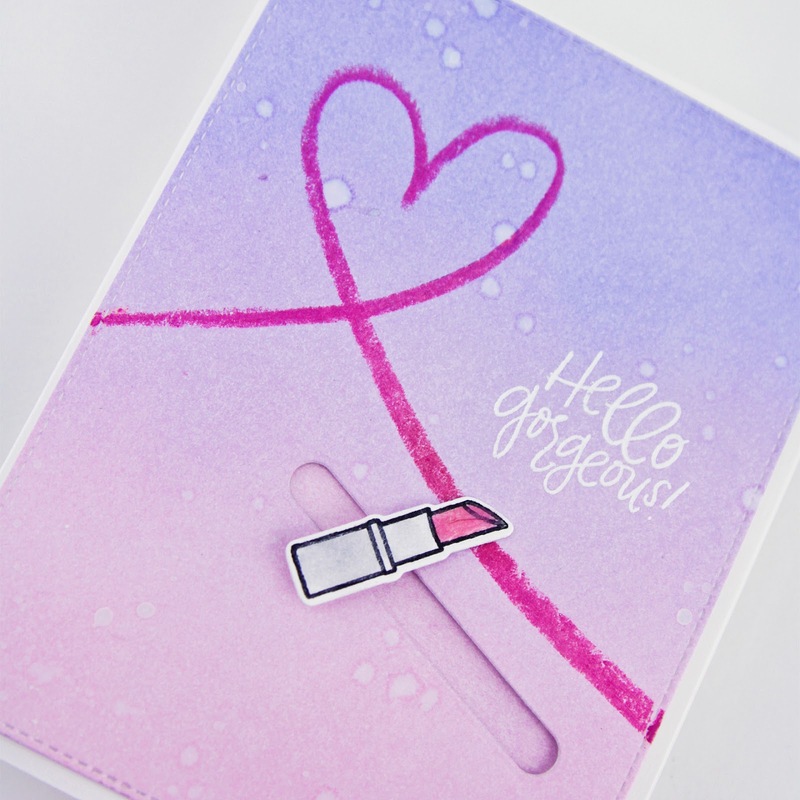 To create this card, I stamped the background with makeup images from the Make It Beautiful set, coloring just the lipstick with a VersaMark pen and embossing with new WOW Yum Yum Bubblegum pink. I cut a circle from silver foil paper and embossed the sentiment in the same powder I used on the lipsticks, to look like a lipstick message on a mirror. Quick tip...not all foiled paper can handle heat embossing so make sure to test a scrap first. And to create the "lights", I colored the circles and topped with Morning Dew Nuvo drops. Of course there is yellow Nuvo but when you use clear (Morning Dew) over blendable ink, it "pulls" the color up to create more of a glow. To create this card, I blended Spun Sugar and Shaded Lilac Distress Inks on smooth watercolor paper. I embossed the sentiment in white and drew my "lipstick" heart with Watermelon pink gelato. Gelatos make fabulous "lipstick" for paper! I used one of the slide dies on the panel, inking the card beneath it to match. And I created the slider with the lipstick from the Make It Beautiful set. 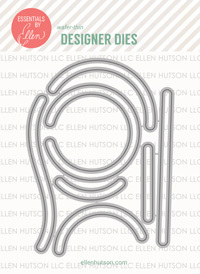 The winner may chose any in stock Essentials by Ellen brand stamp set (Maximum value $25 USD) at Ellen Hutson.com To enter, please leave a comment on today’s post by Tuesday, February 28! Your next stop is the wonderful blog of my friend Carolyn Peeler! If you get lost along the hop, please visit the CLASSroom blog for a complete list of all the designers. Thanks for sharing your creations. 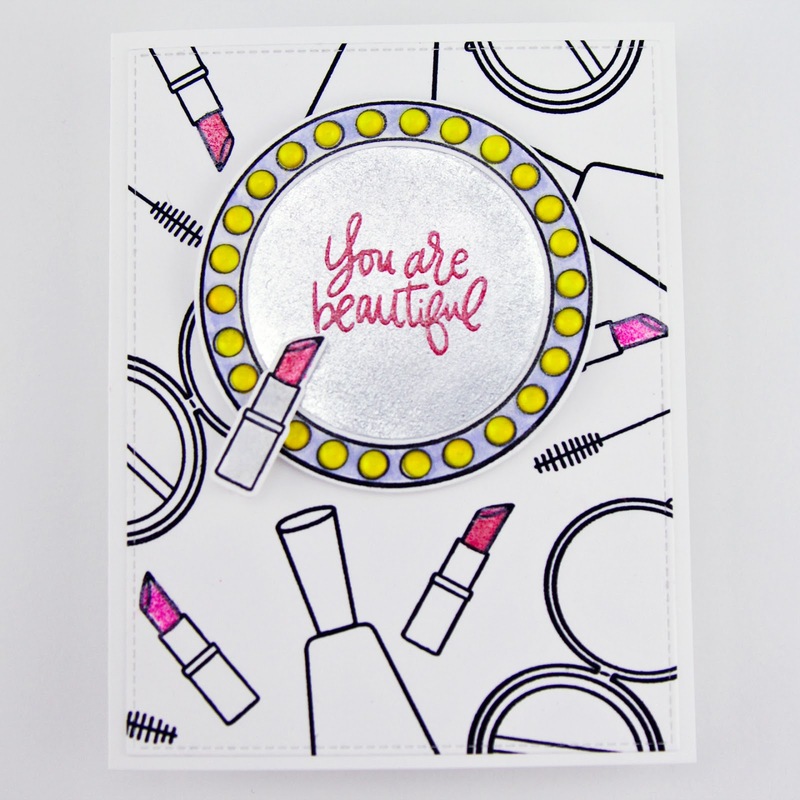 I love what you did with the Mirror, Mirror stamp set and die. I so glad there is a slider set with multiple options now. Carly, guuuuurrrrrll! These cards are so cute! LOVE that first one especially! thank you for sharing. Esp. Love your slider lipstick card...wow, so cute! Thank you so much. Love your Glam cards! Perfect for girls! I love the lipstick card! Thanks for the chance to win. These are both great cards but the 2nd one is exceptional. It's beautiful and fun all rolled up into one. The cards are so much fun. These stamp sets are fun as well! Great cards, I was getting the spa set confused with the mirror mirror. So glad to see it posted separately. I need to pay closer attention. Cute cards. I'm loving' the spa day set. This release is great. Love your cards. I love this stamp set and dies. Your cards are so beautiful and enourageing! Great colors and design! Cute lipstick and heart card. Thank you for sharing. Love the girlie theme to these cards ,,, how fun. Beautiful release!!! Love your cards!!! The second one is really cute!!! Amazing colors!!! Nice blending and Colors! Beautiful use of stamps as background as well. The Swing and Slide die set is tempting me. I have nieces who like when I make slider cards for them. Interactive cards are so much fun for both the card maker as well as the recipient. 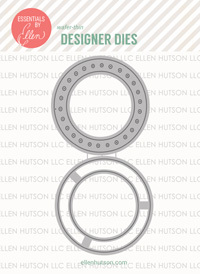 The way the lipstick tube swiped across the card it was as if the die had been created especially for this card! Great job, loved it! Great cards! Love the lipstick writing the heart! Very clever! Love the graphic quality to your cards. Very chic!!! OMG! Your cards are outstanding! Great cards and projects to share the release … thank you! I love the lipstick card with the gelato heart, very creative!! I'll have to try your lipstick technique! It looks great! I love these cards!! I loved the stamp sets but was not really sure how tome corporate them but these are fabulous!! Lipstick is my thing and these cards are so great!!! I'm quite sure my oldest granddaughter would LOVE your card! I do, too. That lipstick slider is adorable. What a clever idea with the lipstick swirl! I love it. Thanks to you for sharing and E Hutson for sharing as well!!! Love your cards, super creative! The slider dies are so FUN!! My grandgirls would love something interactive like that. Thanks for sharing your great ideas! clever you with the slider element. that might be my favorite card I've seen so far! thanks, too, for the Nuvo hint. I haven't tried any of them yet, but I might just have to now. It turned out amazing. Thanks so much. fantastic cards-and that second one with the drawn heart -brilliant!! Your cards are beautiful.. the gelato touch for lipstick is very clever. Love your hello gorgeous card! I love the gelato lipstick; however, my favorite is the lights on the mirror. Such a great idea! Thanks for your inspiration! Girls rule! And so do YOU! You rocked this release with such original uses of the sets. Love your lights on the mirror - great trick! You think outside the (makeup) box! Love your style and sense of fun. Thanks for the sweet inspiration. Oh my goodness! Your cards are just so cute. Thank you for sharing your amazing talent with us. These cards are so much fun; makes me smile! I love cards with encouraging messages, great work! Your card designs have me rethinking about my favorite stamp set--wonky backgrounds--I am in awe of the various techniques you used while creating these. That lipstick slider is perfect! Thanks for sharing these. I love your creativity, fun stuff! I couldn't figure out how you drew the lipstick line. What a clever idea using gelatos! Great mirror and light tips, thank you! 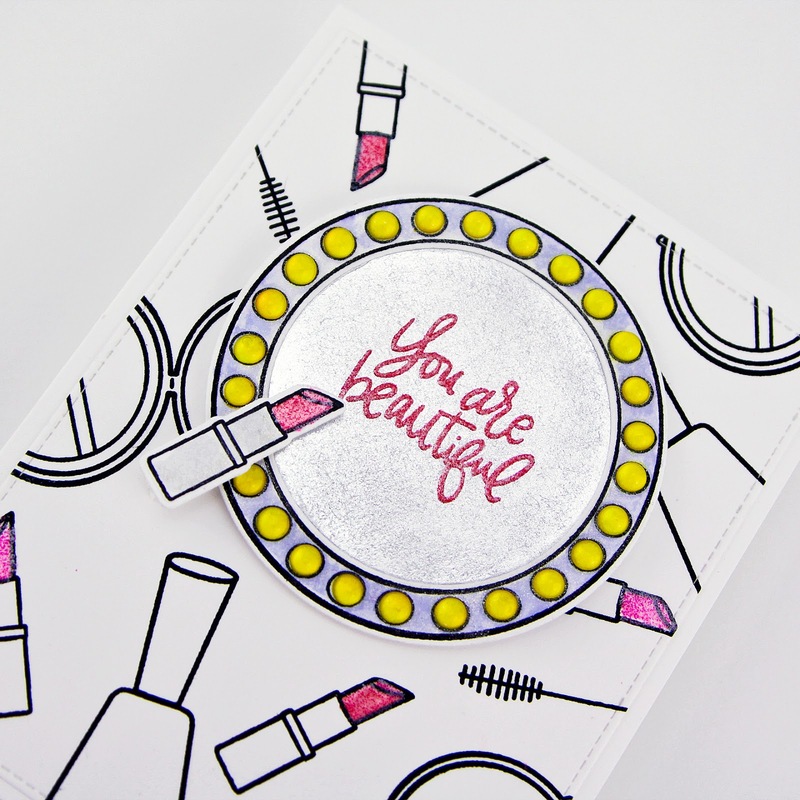 Love, love, love your lipstick penny slider card! That is my favorite with your perfect gelato heart. Great colors and design. Your card with the writing in lipstick is super. Love it! Fun cards, love the lipstick slider. Cute cards and fun release! I love your creativity...it always inspires me. Sweet cards! Love the bright sassy colors you've used on your fun cards! Wow! Your lipstick slider card is so cute! I've never seen embossing on foil paper before, well done! Great cards! I love the idea behind the second one, what a great idea! Love the lipstick one! Great job! Love the sentiment on a mirror and the lipstick setiment! The lipstick 💄 and heart card is so cuuute, love your design! So clever! Love your cards! I love the way you used the slide on the lipstick card. That's amazing. Love these cards, Perfect for the girls. Fun cards! I'm enjoying this great new release. Thanks for sharing on the blog hop!! Such fun cards!! I have some young granddaughters that are really into the nail & makeup scene...I will love making cards for them with these stamps & dies!! Love your lipstick heart. So creative! Thanks for sharing! The last card is amazing ! Love the gelato "lipstick"! Too cute. Your lipstick slider card is wonderful - love it. Thank you. What a fun and fabulous lipstick card! Oh! Oh! Oh! Those sliders! Such clever ways to use them. I'm inspired! Thank you! Great reminder to ink under the slider area! I always forget that! So cute...... that lipstick card is absolutely adorable! thanks so much for sharing. Love the gelato lipstick! Very clever. What fabulous uplifting cards for friends!! So perfect! Great slider card! Great release! Your cards are fun and fabulous! The gelato was the perfect match for the lipstick, and I love the sliding effect. Such an amazing release...my wish list is growing!! I love the way you used the lipstick like it has written on the mirror and the paper. Great release! i love how you did the mirror especially! Great cards! Love the lipsticks! I love the lipsticks. Lipstick slider even better. Nice! Love the black and white design with a pop of color! I really like the gelato lipstick the puurfect touch . Love the slider card!Thank you for the inspiration! Fabulous and fun! I think the 2nd card's design is genius showing as if the lipstick made the heart. that lipstick card is so original - love it! Love your Slider card with the lipstick and heart! So cute! Both cards are super cute! I love how on both of them you stamped the sentiments (or the heart) as if they were written with lipstick. And I also like how you colored behind the Nuvo Drops to make them look like bulbs shining. I love your cards Carly, a very good job on them. I really love what you did on your cards. And that lipstick line/heart - so perfect! Thanks for the inspiration! Super cute cards, Carly. Great tip for using the clear Nuvo drops, and the way you used the slider, heart and lipstick is so creative. Thanks for the great inspiration! The first thing I said - out loud! - when I saw your lipstick slider card was Oh, cute! It's adorable! Both cards are great. Thanks, Carly, for sharing with us and for participating in this great hop and giveaway. Both cards are so adorable. Such clever and cute uses of those stamps and dies. LOVE your cards - especially the slider one! Too, too cute. Wow! Thanks for the fabulous cards and tips. Hey girl! Love that lipstick slide card...totally fab! I love the lipstick look you drew the heart with. It looks perfect! I love your lipsticks!! Each technique led to some amazing results! Love how you created the lipstick slider card!! Beautiful and touching! Hi Carly! I love seeing your smile when I stop by the warehouse to pick up my goodies. I think this may be the first time I've visited your blog. I need to a bit more poking around! Love the cards you created for the hop! Genius using the Gelato for your lipstick. Love your shiny mirror, too!!! That lipstick card is FANTASTIC! Beautiful cards, love the slider, the embossed foil Mirror and the soft pink/purple background. Awesome cards!! The "designer paper" you created with the makeup images is just way too cute and the shiny mirror is pretty cool too but I absolutely love the second card you made! The gelato makes perfect lipstick. To draw the lipstick heart and then the lipstick slider is so creative! So cute Carjy! The slider card is darling! Both cards are great but totally LOVE the lipstick slider card. What a genius idea to do that!! What gorgeous cards! Love your gelato lipstick heart and the slider. It's brilliant! Love the little "chemistry" lesson on the Nuvo Drops! Thanks teach!! These cards are really cute and very different in feel. Thanks for sharing. Two super cute cards. The set look like it can be used in a lot of ways! Such fun cards! I love them both. The sliding lipstick is adorable. What glamorous cards with fantastic backgrounds! The lipstick slider is a very cool idea. Thanks for sharing. Great cards. Love the lipstick with the slider die cut. Theses cards are so positive, I can imagine giving them to a teenage girl who is just finding her "inner beauty" or anyone who just needs a lift. I really like the black and white with a touch of color. This is so pretty! I love how you've created the center look - -it's really gorgeous and a great idea! Cute and fun cards. Love the cosmetic theme. Carly, these cards are adorable! I love the "lipstick on the mirror" idea, and the Nuovo drops for the light on the mirror! Thank you for some really great tips and ideas and for sharing them with us! Fabulous cards, Carly! LOVE the graphic style of the first card and the gelato lipstick heart on the second!!! So super fun!! fun cards esp. the lipstick gellato heart. I enjoyed the colors in your cards. This is a wonderful release with several "must haves." Such fun cards and I love your use of gelatos! Such an adorable release! Loving all the examples! My Favorites are the Otter stamp set, Wonky backgrounds and slider dies! Love that genius lipstick slider!! These new releases are just so cute. And love your lipstick heart. Wow, I didn't know that about the Nuvo Drops! Too cool!!! Love how it turned out! Great idea for the lipstick on the mirror. Brilliance! Cute cards! I really like the embossed lipsticks. They look fabulous! Wonderful cards! I love the colors. Love the clever design of your second card and your blending is just perfect! Super cute!! Love the lipstick slider!! Your cards are SO clever, love the slider - like you are writing with the lipstick. Question: what blendable ink did you use for the lights on the mirror? And I love how you made it look like the lipstick drew the heart image on your second card. So cool. Love the girly colors in these cards. Adorable! That lipstick card...Both the background and that detail is so great! Thank you for sharing! Wow, I love what you have done here! Especially the lipstick glider, that is so darn cute! Fantastic cards! Love the hello gorgeous card! Drawing a hero with the gelatin was really good idea and adds a great look to your card! What a great card to put the lipstick heart with a lipstick slider! Great idea!!! Thank you for sharing it!! Beautiful cards! I love the colors you chose for the second one. Using gelatos for the lipstick is ingenious!